Napa Valley Distillery is a family-owned and operated micro-distillery founded by Arthur and Lusine Hartunian out of their passion for premium, small-batch craft spirits and their love of the Napa Valley. Napa Valley Distillery features a unique variety of fruit-based distilled spirits, shrubs, tonics and syrups from around the world, as well as several brands of bitters that are not available anywhere in the U.S. Their flagship product is Napa Vodka Vintage Reserve, made entirely from Single Vintage Napa Valley Sauvignon Blanc. They also make pre-prohibition era barrel-aged cocktails, like the Negroni and East India and seasonal liqueurs like their platinum medal-winning Meyer lemon liqueur. 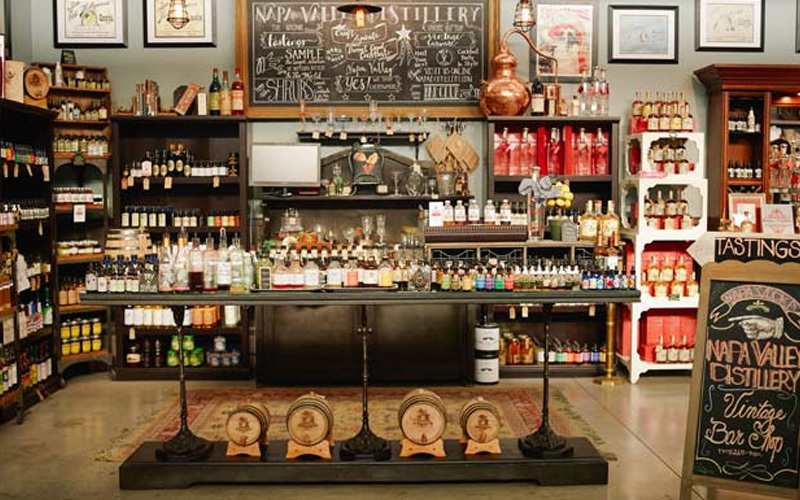 Napa Valley Distillery also stocks a large collection of authentic vintage bar ware from the early 1900s.